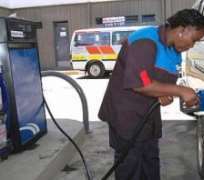 Nigerian National Petroleum Corporation (NNPC) has assured petroleum products consumers across the country not to engage in panic buying in the countdown to depot shutdown by Depot and Petroleum Products Marketers Association of Nigeria (DAPPMAN) from Monday. The NNPC, countering the impact of the shutdown said it holds 2.6billion litres of petrol and 90,000 metric tonnes of diesel. It said the stock is expected to last 52 days, even if no single drop of products is imported. NNPC Group General Manager, Group Public Affairs, Mr. Ndu Ughamadu, gave the assurances on Sunday night. Ughamadu said the shutdown would not affect products distribution as NNPC has ordered all its depots across the country and those of bulk purchase Marketers it recently entered agreements with to undertake a 24 hour operations to avert any shortages in products distribution in the country. “All NNPC depots, Petroleum Products Marketing Company (PPMC) throughput partner depots, the Major Marketers depots and depots of Depot and Petroleum Products Marketers Association of Nigeria (DAPMAN) members who signed the Bulk Purchase Agreement, BPA, with PPMC as well as NNPC Retail stations, Major Marketers Association of Nigeria (MOMAN) and Independent Petroleum Marketers Association of Nigeria (IPMAN) filling stations, will continue to operate at maximum levels to ensure uninterrupted distribution of petroleum products nationwide. He said despite the threats by DAPPMAN, government was committed to going ahead with settling the N236 billion first tranche of the verified subsidy claims of the Oil Marketers in line with the approval of Federal Executive Council (FEC) and National Assembly (NASS) by Friday, 14 December, 2018 as promised by the corporation's Chief Operating Officer, Downstream, Engr. Henry Nkem Obih in a statement recently.